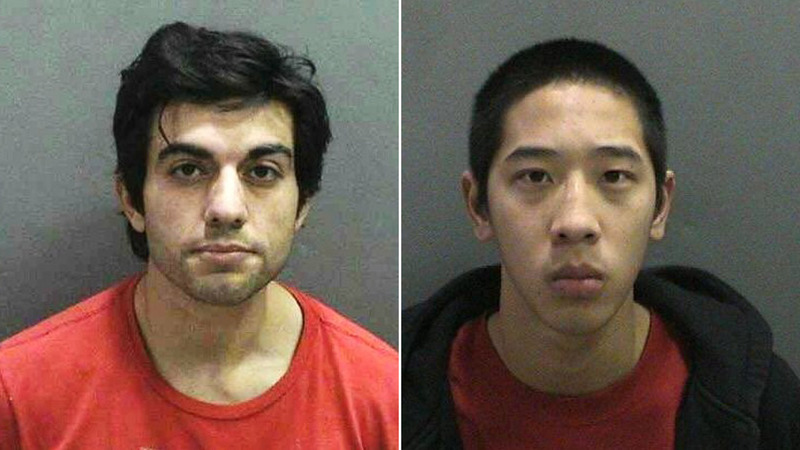 SAN FRANCISCO, CA -- Two inmates who remained at large after breaking out of a California jail more than a week ago have been arrested, Orange County sheriff's officials said Saturday. Jonathan Tieu, 20, and Hossein Nayeri, 37, were in the custody of the San Francisco Police Department, the Orange County sheriff's department said on its Twitter feed. A news conference was scheduled for noon. It wasn't clear if she had a lawyer. Ravaghi and Nayeri also exchanged "personal and close" handwritten letters, but sheriff's spokesman Lt. Jeff Hallock could not say if the two were romantically involved. It was the first escape in nearly three decades from the Central Men's Jail, built in 1968, that holds 900 men. Watch Eyewitness News at 6pm and stay tuned to abc13.com anytime for new details on this developing story.